Wanna turn back the hands of time a little ! As early as your 20's you might see change in your skin...Our gentle products will show your skin the love it needs and deserves ! Do want to reduce fine lines and wrinkles or tighten sagging skin & improve your skins elasticity and even smooth out that skin ? 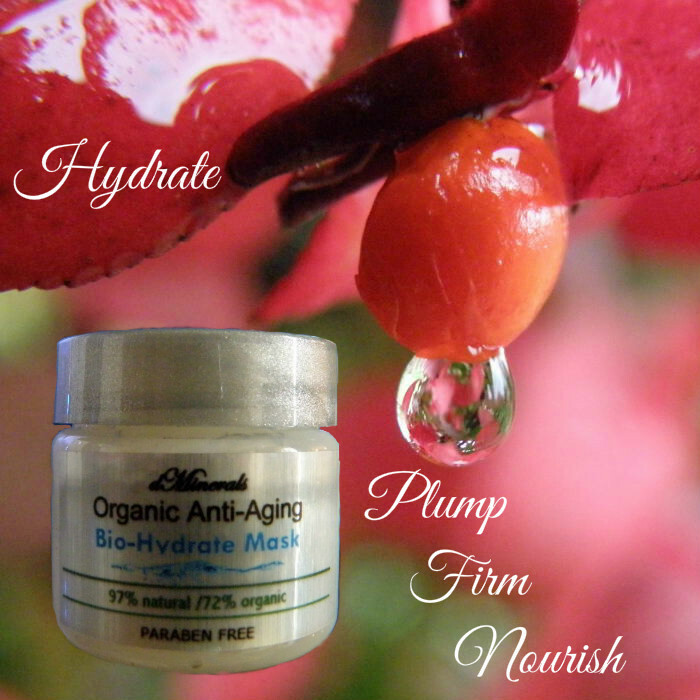 Try our Bio-Hydrate Line ! Is your skin dry and flakey and looks dehydrated ? Do you find that sometimes you see and feel sore areas with cracks ? Do you see wrinkles and fine lines ? Believe it or not our skin begins to loses its ability to retain moisture at an age earlier than you think...So using a good skin care product that helps maintain the skins moisture is a good idea ! Let DMinerals help take care of that ! Our Our bio-available solutions - BIO-HYDRATE line is just what your thirsty skin is asking for ! The products Hyaluronic Acid helps your precious skin by improving your skin’s ability to retain moisture and helps stimulate the skin cells to produce collagen. If you have or are starting to show signs of tired, sallow skin or a shriveled complexion or lines & wrinkles you will absolutely LOVE our bio-hydrate line !